Pre-Wedding sessions are a great way to connect with your couples before their wedding. It creates a casual environment between them and you as photographers. It also gives the bride and groom a chance to get used to being photographed. This makes them not-so-nervous in front of the camera as the wedding day approaches. 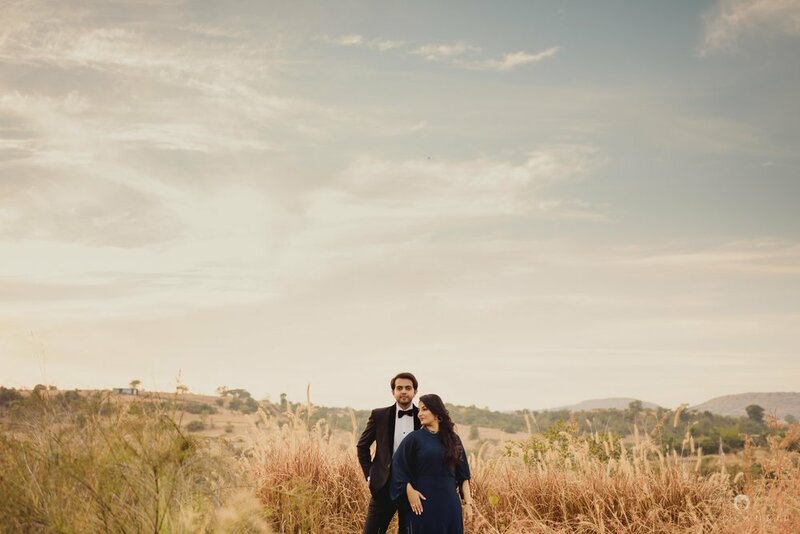 We did a pre-wedding session with Mahek & Aditya at Nashik’s Grape County Vineyard. The property offered some beautiful backdrops for their photoshoot. The weather was in our favour and the light was just perfect. Mahek & Aditya were such stars. They eased into the session very smoothly making it easy for us to photograph them. They both make a wonderful couple and are extremely warm and easy going. We loved doing this session with them. Can’t wait to share images from their wedding next! If you’d like to get in touch with us for your wedding, feel free to go through our gallery and get in touch with us here. We would love to hear from you & be a part of your celebrations.